Rodeo Trainer is a real three-in-one. Firstly, it is a professional fitness machine which can move the entire skeletal muscle in a unique way. When you use it, your entire muscle fibre works from head to toe, so, compared to traditional workouts, you can burn more calories. 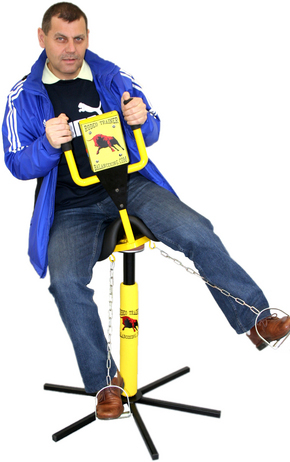 Secondly, it is an excellent therapy device, which improves posture and develops movement coordination in such a way that you can attain the level of a circus balancing act! An international institute involved in the development of people disabled as a result of central nervous system damage has been using it as a development device since the start of 2012. Thirdly, it is playful and enjoyable game, which lets you turn everyday tiring and boring workouts into a pleasurable game. 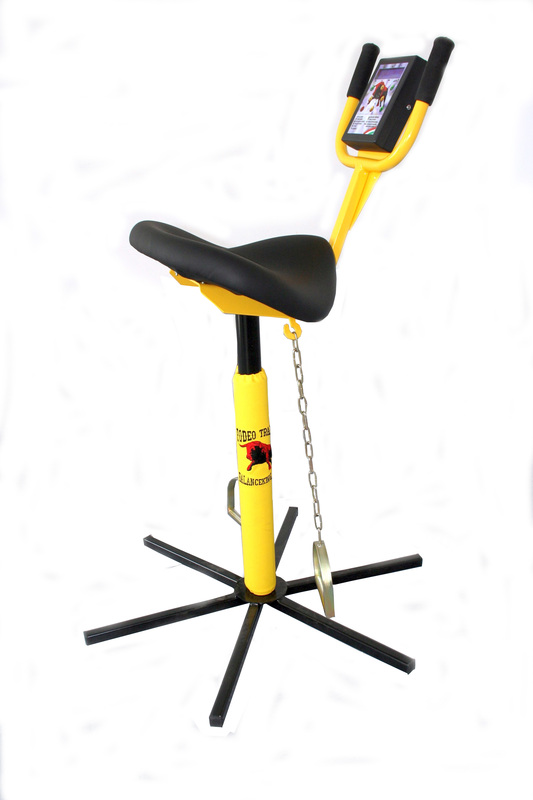 The saddle is connected to a spherical joint which results in instability that forces the user to make continual balancing movements. The use of electronics, in the meantime, provides the experience of competing with others or your own record. A built-in gyroscope allows the measurement of the time spent in a vertical position. At displays, it soon turned out that it really grabs people’s attention and thus is able to quickly become the centre of media focus. Compared with the traditional rodeo bull, its big advantage is that you don't need a separate controller, it takes up a lot less space (kb 1 m2), can be a lot more easily moved and has a weight of 17 kg. The movement isn't generated by an electric motor or hydraulics, but rather by your own muscle power as with a bicycle. Naturally, the price is also a lot more attractive. It is ideal for setting the mood for various events (either for children or adults) or when organising playful competitions. It provides a possibility for wellness and other hotels to base a special event for their guests around it. A video showing the operation of the Rodeo Trainer is available on the inventing company’s /Balance King Kft., company reg. Budapest Company Court no. : 01-09884919/ website: http://balanceking.com/en/termekeink/rodeo-trainer/. The inventor is offering the license either for sale or is prepared to place it in a joint venture in the form of apport.